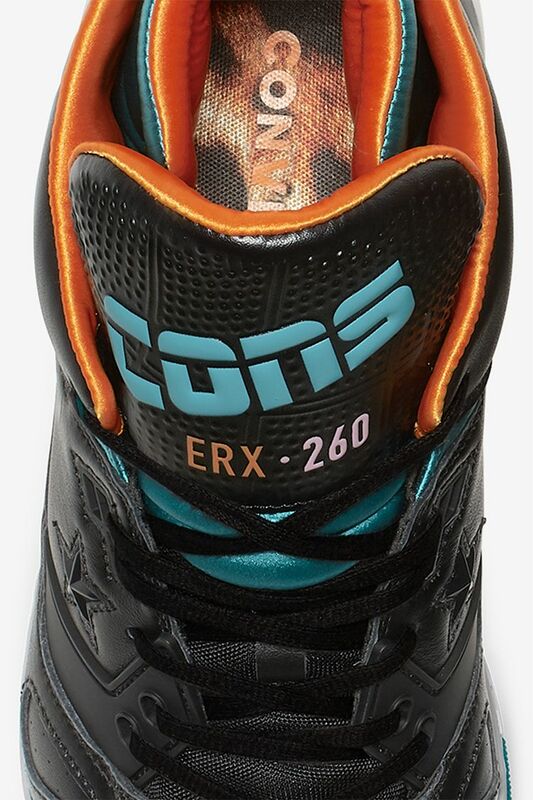 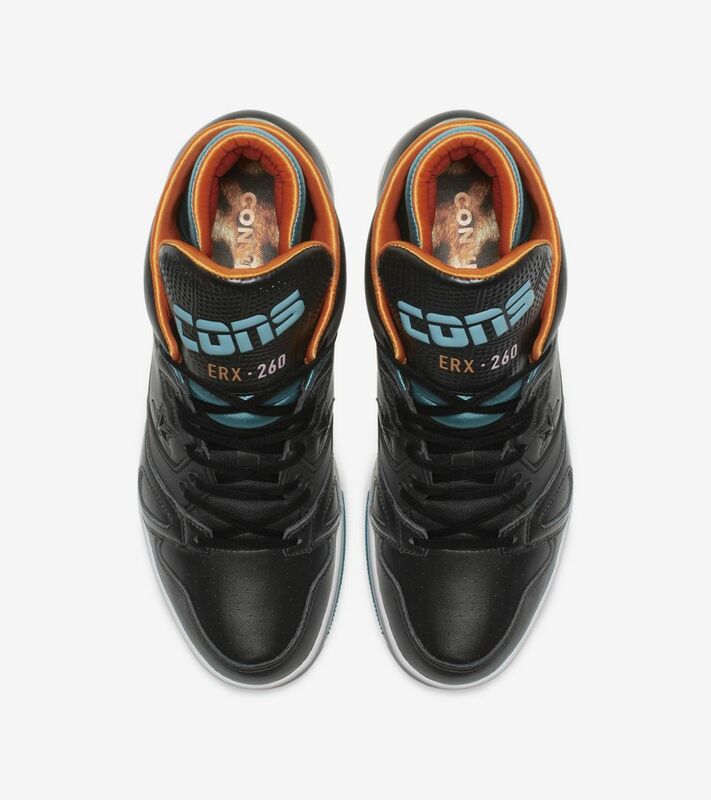 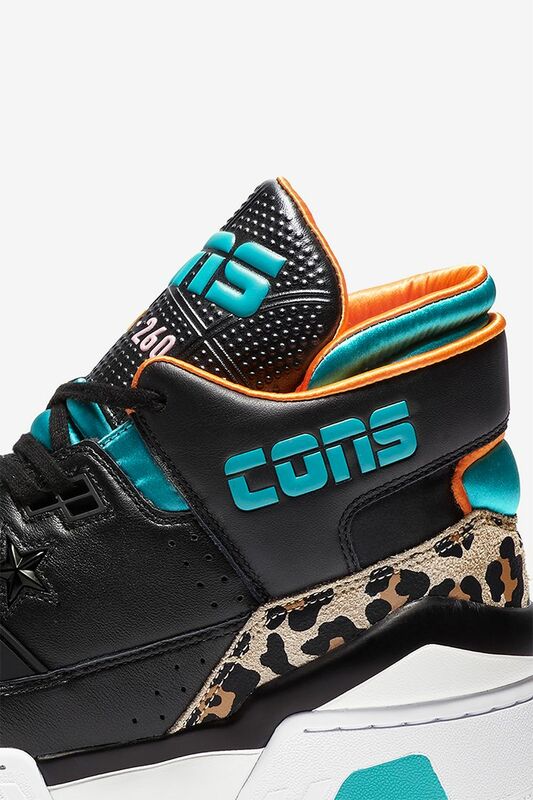 This second collaboration between Converse and Don C is a striking collection that playfully reinterprets the iconic ERX 260. 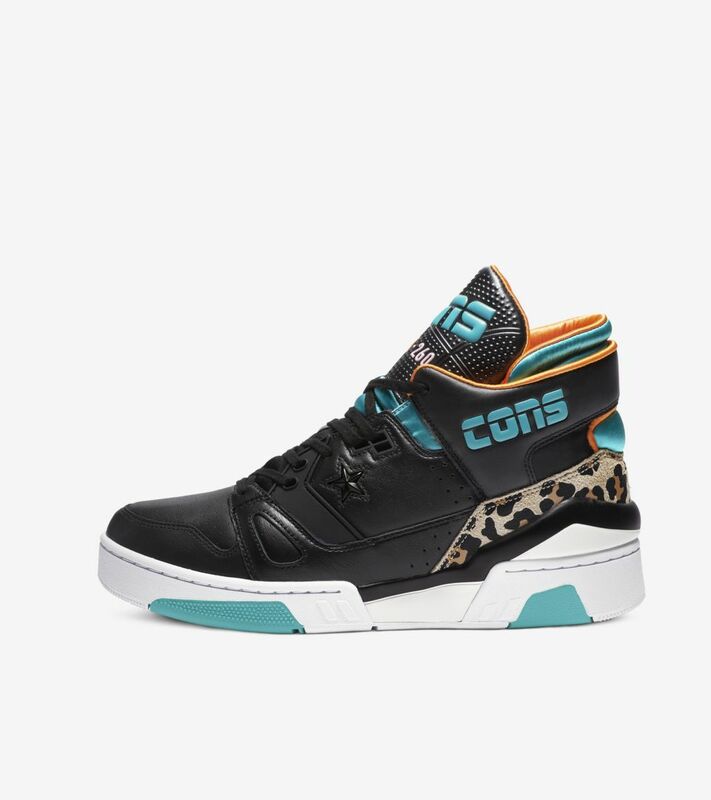 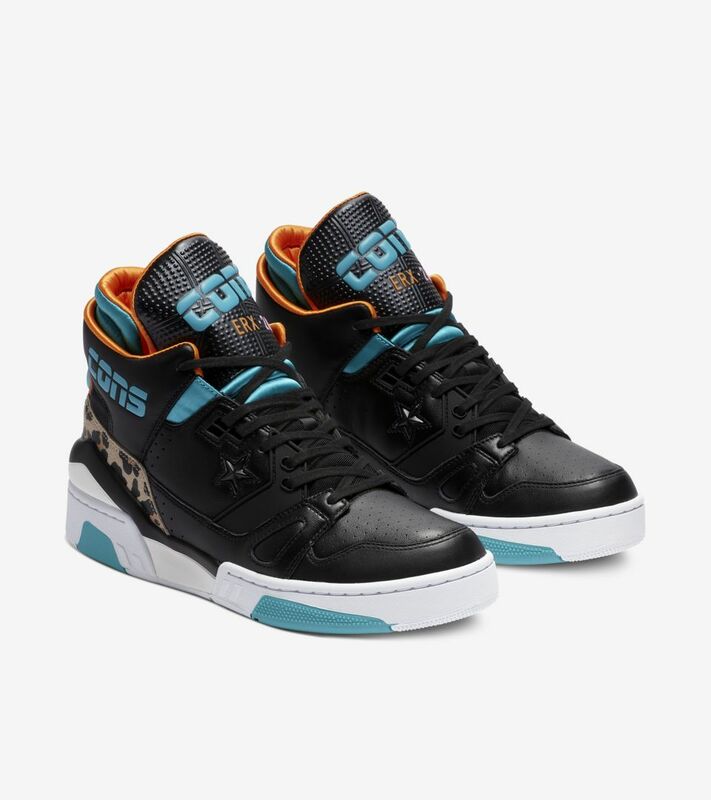 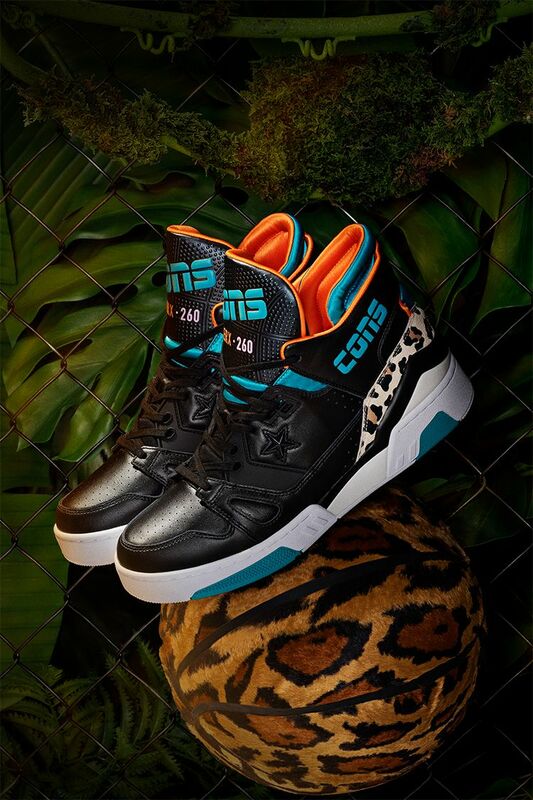 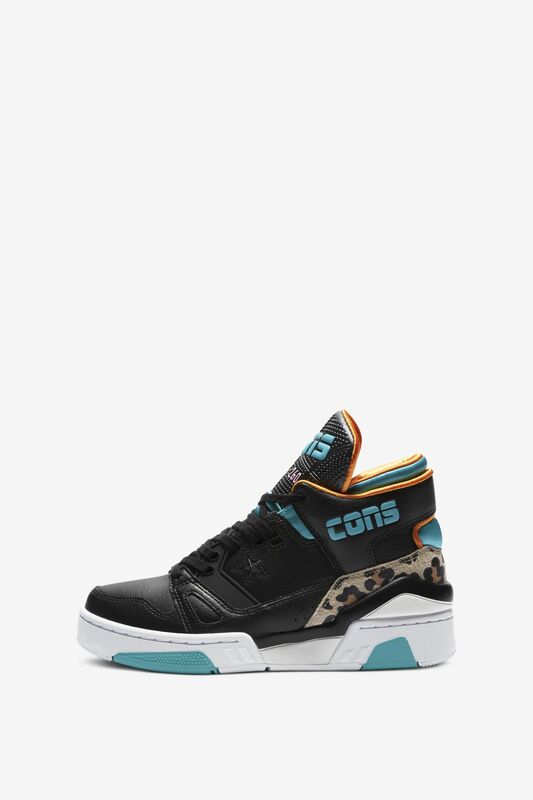 Winking at the cyclical nature of style, Don C’s take on the legendary silhouette has birthed statement pieces that are rooted in basketball culture but transcend the court with details like zebra-stripes and jaguar-spotted heel overlays. 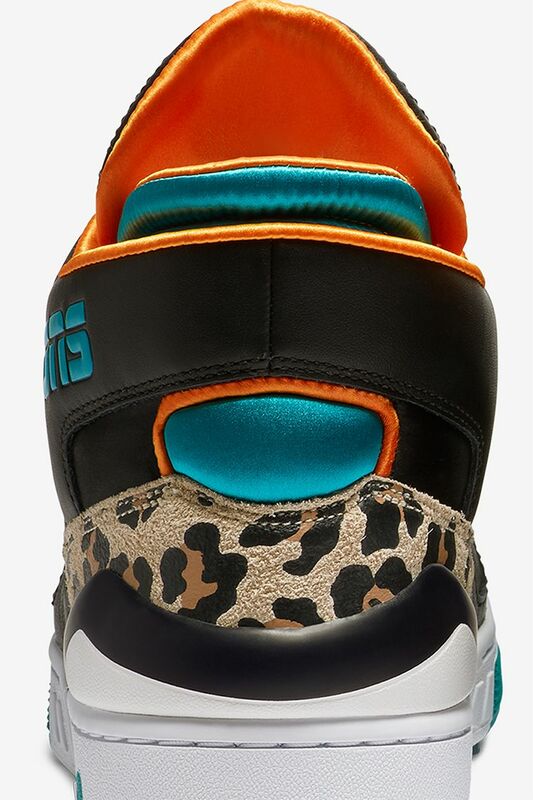 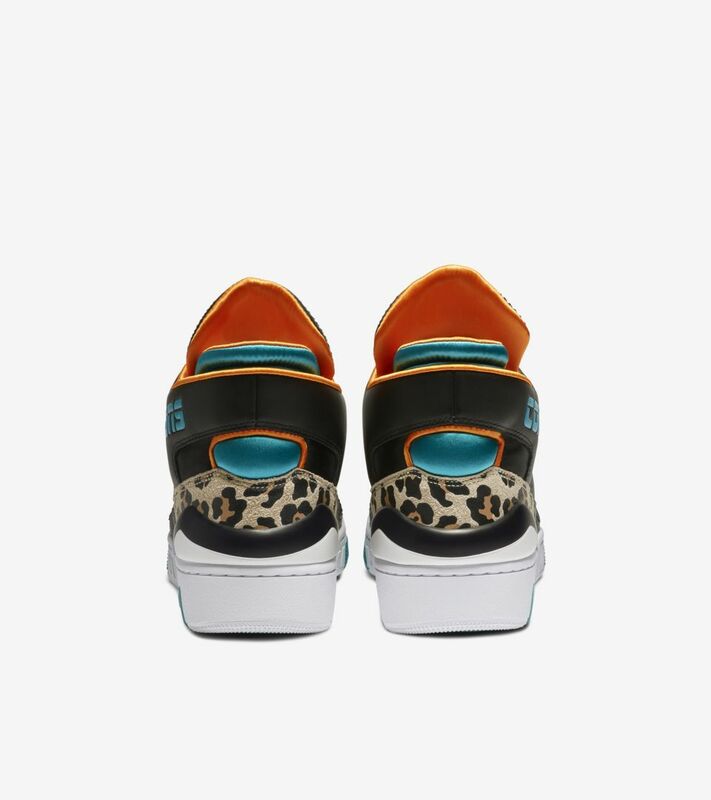 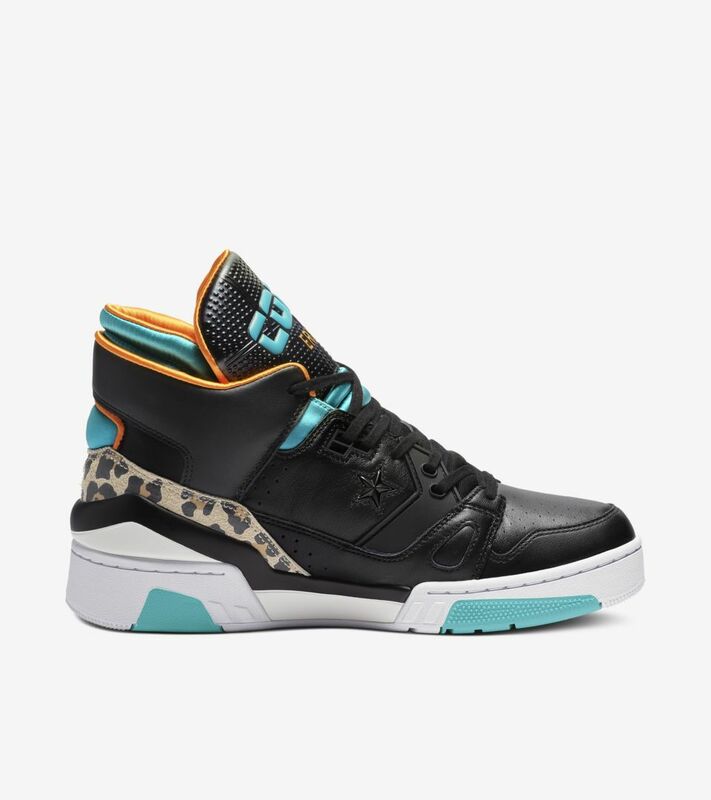 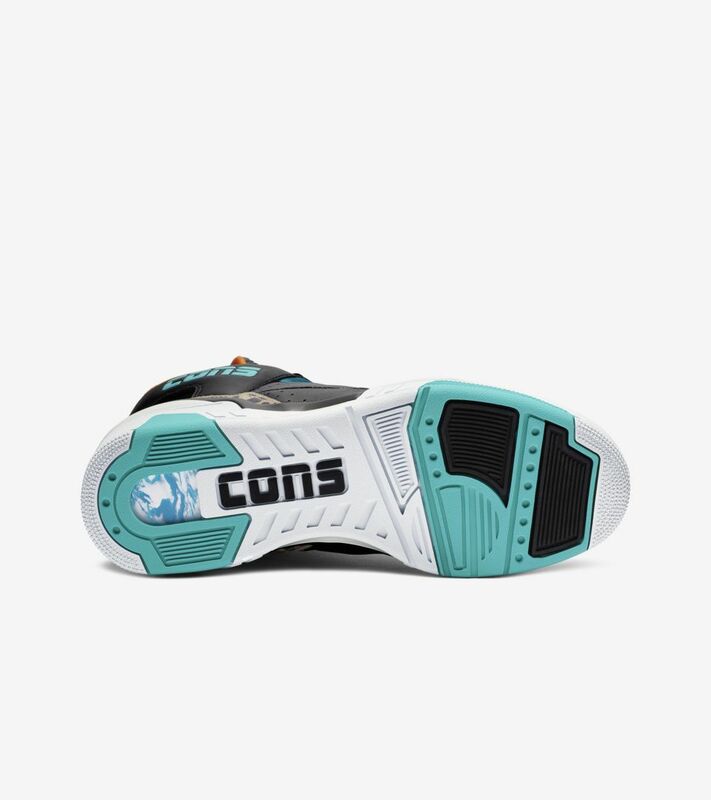 Each sneaker comes with two lace sets that mirror the print on the heel.